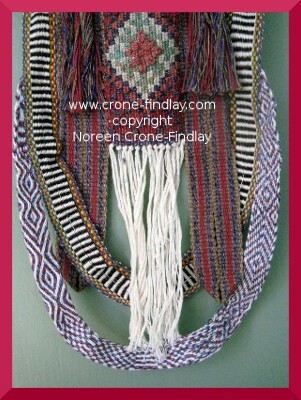 I am weaving a series that I am calling: ” Woven Women”. 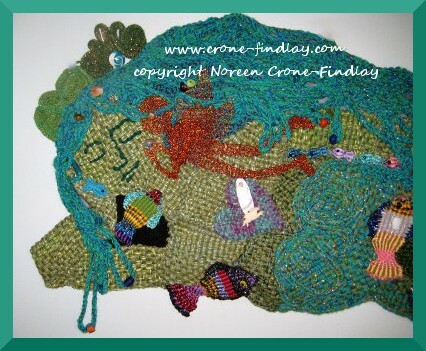 They are mixed media fiber art pieces that are a celebration of the Feminine Divine. 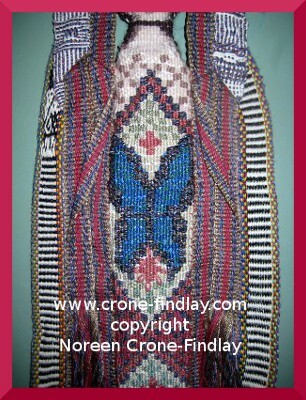 I showed the Butterfly Transformation Woven Woman piece in a how to video today, so I figured that I should show a few more photos of her. 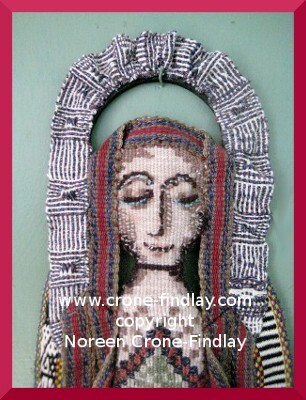 The Woven Women are all woven on many different small looms. I wove Butterfly Transformation Woven Woman on inkle looms, tablets, a 4 harness Structo loom (8 inches wide), and a tapestry loom. In the photo above, you can see how I gathered the upper curved section by pulling up warp strands to ruffle the weaving. The lower curved sections were drawn up in more graduated curves to make a flatter arc and not a ruffle. 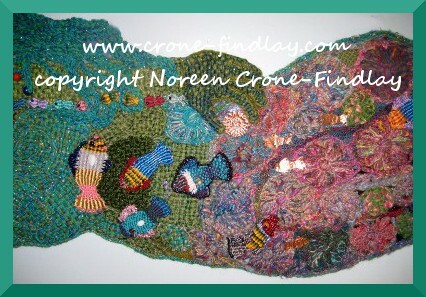 Butterfly Transformation (Prayer) Woven Woman is my prayer for wellness for all the creatures of this beautiful planet, no matter how small or large. 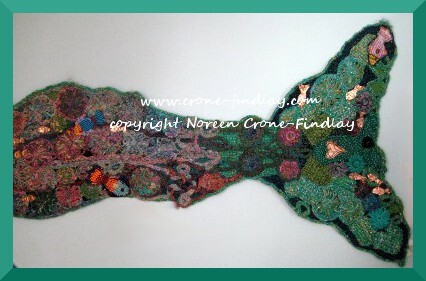 All images are copyright protected and are owned by Noreen Crone-Findlay.